The Great Railroad Strike of 1922, commonly known as the Railway Shopmen's Strike, was a nationwide strike of railroad workers in the United States. Launched on July 1, 1922, by seven of the sixteen railroad labor organizations in existence at the time, the strike continued into the month of August before collapsing. 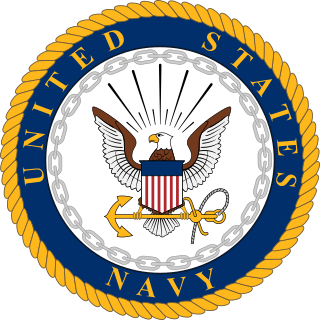 The World War Adjusted Compensation Act, or Bonus Act, was a United States federal law passed on May 19, 1924, that granted a benefit to veterans of American military service in World War I.
Harry Ford Sinclair was an American industrialist, founder of Sinclair Oil. He was implicated in the 1920s Teapot Dome Scandal, and served six months in prison for jury tampering. Afterwards he returned to his former life and enjoyed its prosperity until his death. The lease terms were very favorable to the oil companies, which secretly made Fall a rich man. Fall had received a no-interest loan from Doheny of $100,000 (about $1.4 million today  ) in November 1921. He received other gifts from Doheny and Sinclair totaling about $404,000 (about $5.67 million today  ). This money changing hands was illegal, not the leases. Fall attempted to keep his actions secret, but the sudden improvement in his standard of living was suspect. John Benjamin Kendrick was an American politician and cattleman. He served as a United States Senator from Wyoming and as the ninth Governor of Wyoming. The Teapot Dome scandal has historically been regarded as the worst such scandal in the United States - the "high water mark" of cabinet corruption. It is often used as a benchmark for comparison with subsequent scandals. In particular it has been compared to the Watergate scandal, in which a cabinet member, Attorney General John N. Mitchell, went to prison for only the second time in American history. During the Trump administration news outlets compared alleged misconduct by members of the Trump cabinet,     and specifically by Secretary of the Interior Ryan Zinke    to the Teapot Dome scandal. 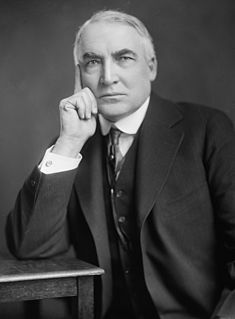 The Ohio Gang was a gang of politicians and industry leaders closely surrounding Warren G. Harding, the 29th President of the United States of America. Many of these individuals came into Harding's personal orbit during his tenure as a state-level politician in Ohio, hence the name. 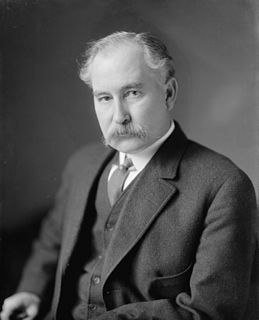 Harry Micajah Daugherty was an American politician. A key Ohio Republican political insider, Daugherty is best remembered for his service as Attorney General of the United States under Presidents Warren G. Harding and Calvin Coolidge. 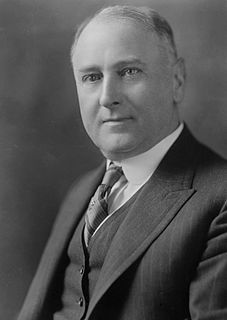 Edwin Denby was an American lawyer and politician who served as Secretary of the Navy in the administrations of Warren G. Harding and Calvin Coolidge from 1921 to 1924. He also played a notable role in the infamous Teapot Dome scandal which took place during the Harding presidency. He was the son of Charles Harvey Denby, grandson of Graham N. Fitch, brother of Charles Denby, Jr., and uncle of dance critic Edwin Orr Denby. William John Burns, known as "America's Sherlock Holmes," is famous for having conducted a private investigation clearing Leo Frank of the murder of Mary Phagan, and for serving as the director of the Bureau of Investigation (BOI) from August 22, 1921 to May 10, 1924. He was born in Baltimore, Maryland and was educated in Columbus, Ohio. As a young man, Burns performed well as a Secret Service Agent and parleyed his reputation into the William J. Burns International Detective Agency, now a part of Securitas Security Services USA. A combination of natural ability as a detective combined with an instinct for publicity made Burns a national figure. His exploits made national news, the gossip columns of New York newspapers, and the pages of detective magazines, in which he published "true" crime stories based on his exploits. Harry A. Slattery, was an American lawyer and statesman. He was United States Under Secretary of the Interior from 1938–39 and gave his name to the Slattery Report, which proposed to develop Alaska through immigration. The proposal, which included the settlement of Jewish refugees from Germany and Austria, largely in response to Nazi antisemitism, was never implemented. George Kent Shuler was an American war hero and politician. The Liberty Tower, formerly the Sinclair Oil Building, is located at 55 Liberty Street at the corner of Nassau Street in the Financial District of Manhattan, New York City was built in 1909–10 as a commercial office building and was designed by Chicago architect Henry Ives Cobb in a Gothic Revival style. It was built on a site adjacent to the New York City Chamber of Commerce Building (1901); the subsequent New York Federal Reserve Bank building was constructed to the east, across Nassau Street, in 1922. A completely free-standing 33-story building, in 1909 Liberty Tower was the tallest building in the world with such a small footprint. The limestone building is covered in white architectural terracotta ornamented with birds and alligators and other fanciful subjects. Teapot Rock is a distinctive sedimentary rock formation in Natrona County, Wyoming that lent its name to a nearby oil field that became notorious as the focus of a bribery scandal during the Presidential administration of Warren G. Harding, the Teapot Dome scandal. The site was listed on the National Register of Historic Places in 1974. Ryan Keith Zinke is an American politician and businessman who served as United States Secretary of the Interior in the Trump Administration from 2017 until his resignation in 2019. He previously served as the U.S. Representative for Montana's at-large congressional district from 2015 to 2017. From 2009 to 2013, he served as a member of the Montana Senate, representing the 2nd district. The Pan American Petroleum and Transport Company (PAT) was an oil company founded in 1916 by the American oil tycoon Edward L. Doheny after he had made a huge oil strike in Mexico. Pan American profited from fuel demand during World War I, and from the subsequent growth in use of automobiles. For several years Pan American was the largest American oil company, with holdings in the United States, Mexico, Colombia and Venezuela. In 1924 Pan American was involved in the Teapot Dome scandal over irregularities in the award of a U.S. government oil concession. Standard Oil of Indiana obtained a majority stake in 1925. The company sold its foreign properties to Standard Oil of New Jersey in 1932. What was left of Pan American was merged with Standard Oil of Indiana in 1954 to form Amoco. 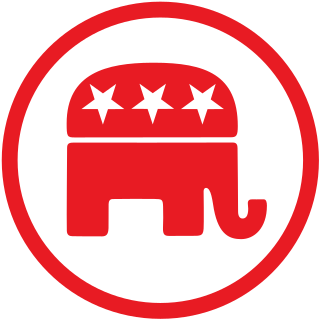 Roosevelt Republican is a term used in discussions about politics of the United States to describe people with beliefs reminiscent of American President Theodore Roosevelt, a politician who spent much of his career as a Republican. Roosevelt implemented a wide variety of various ideas during his tenure as President from September 14, 1901 to March 4, 1909. ↑ Cherny, Robert W. "Graft and Oil: How Teapot Dome Became the Greatest Political Scandal of its Time". History Now. Gilder Lehrman Institute of American History. Archived from the original on July 9, 2010. Retrieved May 27, 2010. ↑ "Warren G Harding: Domestic & foreign affairs", Grant-Eisenhower, President profiles . ↑ Paletta, Damian (9 April 2019). "Mnuchin reveals White House lawyers consulted Treasury on Trump tax returns, despite law meant to limit political involvement". The Washington Post. Retrieved 9 April 2019. 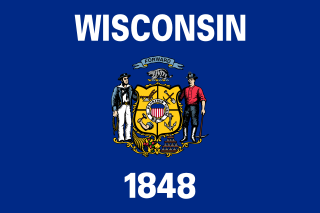 ↑ "Mineral Leasing Act of 1920 as Amended (re-transcribed 2007-08-07)" (PDF). Bureau of Land Management, U.S. Department of the Interior. Retrieved 2014-09-08. ↑ Davis, Margaret L (2001). Dark Side of Fortune: Triumph and Scandal in the Life of Oil Tycoon Edward L. Doheny. University of California Press. p. 149. ↑ "Senate Investigates the "Teapot Dome" Scandal". Historical Minutes: 1921–1940. Art & History, United States Senate. 1 2 Government sells scandalized Teapot Dome oilfield for $45 million, Denver Post , Associated Press , January 30, 2015. Retrieved 4 June 2017. ↑ McCartney, Laton (2008). The Teapot Dome Scandal: How Big Oil Bought the Harding White House and Tried to Steal the Country. New York: Random House. ISBN 978-1-4000-6316-1. ↑ MacDonald, Scott B.; Hughes, Jane E. (2015) [1st pub. 2007]. Separating Fools from Their Money: A History of American Financial Scandals. New Brunswick, N.J.: Transaction. ISBN 978-0-7658-0356-6. ↑ "McGrain v. Daugherty". Oyez.org. Retrieved 2 November 2010. 1 2 O'Brien, Timothy L. (November 1, 2018). "Politics & Policy: Ryan Zinke and the Murky Interior of Trumpworld". Bloomberg News . Retrieved December 19, 2018. Even in a department with such a colorful history, the current secretary stands out for his plethora of ethical investigations. ↑ Cria, Bryan (April 11, 2017). "Making the Teapot Dome Scandal Relevant Again! President Trump can learn from Harding's disaster". University of Virginia . Retrieved December 19, 2018. 1 2 Waxman, Olivia B. (December 17, 2018). "Where Embattled Interior Secretary Ryan Zinke's Resignation Fits in the History of Cabinet Scandals". Time . Retrieved December 18, 2018. ↑ Krugman, Paul (June 7, 2018). "Corruption Hits the Small Time". The New York Times . ↑ Watergate & the Teapot Dome Scandal: The History and Legacy of America’s Most Notorious Government Scandals (Kindle ed.). Charles River Editors. November 2, 2016. ASIN B01N9IMB2P. ↑ Roberts, Chalmers M. (June 9, 1977). "Uncovering a Coverup on Teapot Dome". The Washington Post . ↑ Nazaryan, Alexander (November 2, 2017). "Trump is Leading the Most Corrupt Administration in U.S. History, One of First-Class Kleptocrats". Newsweek . Retrieved December 20, 2018. ↑ Tusk, Bradley (April 4, 2018). "Why Is Corruption So Common in the Trump Administration?". The Observer . Retrieved December 19, 2018. ↑ Alvarez, Joshua (December 17, 2018). "Happy Trails, Ryan Zinke". Washington Monthly . Retrieved December 19, 2018. ↑ Benen, Steve (October 24, 2017). "Private contracts for work in Puerto Rico raise eyebrows". Rachel Maddow Show . MSNBC . Retrieved December 19, 2018. Wikimedia Commons has media related to Teapot Dome scandal .